…presenting almost endless variations in patterns and colour combinations. Choose between premium Japanese denim and chambray, poplin, flannel, oxford and heavy-weight blended fabric and pick the perfect piece for any occasion. 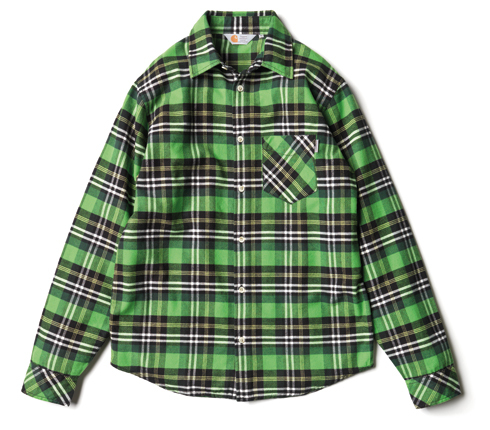 The long-sleeved Fairdale Shirt is made of cotton flannel, a soft cotton cloth with a napped surface, resembling woolen flannel, with the difference of being easier to clean and offering longer durability. This shirt will keep you warm and cosy. Available in Lemon, Polar and Cress. 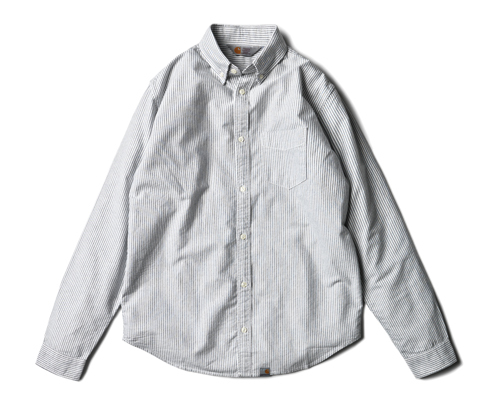 With this shirt Carhartt remains true to its tradition of using striped patterns. The Vice Shirt is a classic, long-sleeved button down shirt and comes in thick, lightweight oxford cotton, a particular durable fabric with a soft feel. You have the choice between the colours Blue, Black, Crimson and Ruby. 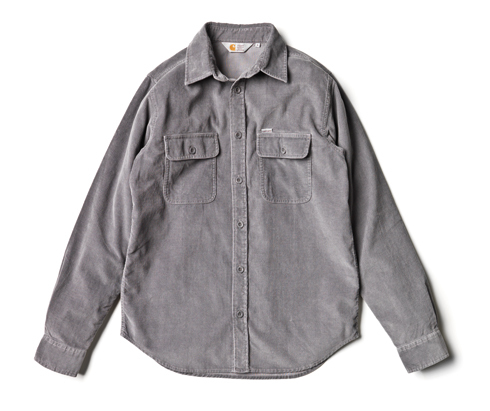 Our long-sleeved Job Shirt is made of fine, strong 16 wale cotton corduroy. This exclusive fabric is best known for long-lasting durability and a feel as soft as velvet. The lightweight shirt has the classic Carhartt flag label and comes in Navy, Black, Dirt, Buck and Tin. 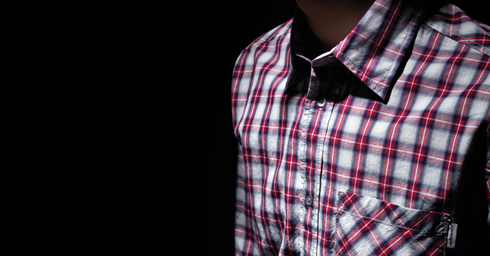 Head over to Shirt section for Men and Women to browse through the complete range.